Development has been a major pursuit of humanity for a long time now. People have tried to improve their ways of life by innovating numerous and diverse things. One of the greatest advancements of the times has been technology. Technological developments such as computers and locomotives among others have influenced all sectors of human life including health, transport, communication, and education to mention but a few. The developments in the computer technology, in particular, have caused significant changes in the lives of people. The resultant effects of the advancement in computer technology have been either positive or negative to human life. The paper is a research about the computer technology and its effects on human life, particularly in relation to education. The thesis statement of the research is that the advancement of the computer technology has proven to be of a greater good to the human race in the delivery and access of educational services. The research question is: to what extent has the advancement in computer technology been beneficial to humanity in the education sector? Firstly, the paper discusses the various ways in which the computer technology has advanced and the various educational areas of human life it has influenced positively. Secondly, it discusses the negative educational effects of the computer technology on humanity. Lastly, the development experienced in the computer technology has had significant contribution on humanity. The rise in computer technology has been steady with the developed countries largely having an earlier experience of its operations. In fact, the computer technology has been advancing from the first world countries sequentially to the second world and third world nations (Bell et al., 1). The benefits and disadvantages of computer were first experienced in the developed countries. The systematic development and feeling of the effects of the computer technology from one region to the other offer greater learning opportunities for every part of the world. The computer system consists of two major parts, which include the hardware and software ones. The hardware part of the computer technology consists of the tangible or physically touchable things that make up the computer. They include the monitor, central processing unit (CPU), power cables, CPU and monitor connecting wires, keyboard, mouse, and storage devices such as hard disk (internal and external) and flash disk (Patterson, & John, 11). On the other hand, the software unit consists of the non-touchable things, which are generally referred to as the computer programs. They include such as the operating system, Microsoft office suite, antivirus, Internet access programs, Internet browsers, pdf readers, and literature management programs such as Mendeley and Zotero (Patterson, & John, 25). 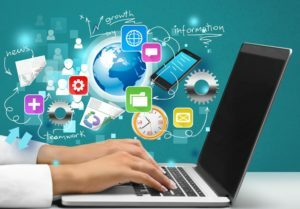 In most cases, human beings are striving to improve the computer technology, which has led to the development of about four types of computers known as desktop, laptop, mini-laptop, and tablet. The efficiency and effectiveness of each of them continue improving with the advancement of their specifications and resizing. For example, a Core7 laptop with a 3.0GhZ processing unit and 8GB random access memory (RAM) is more efficient in running numerous and heavier programs than a Corei3 laptop with 2.40GhZ and 2BG RAM. In the software part, the Windows operating system has developed tremendously to include Windows 2000, Windows 7, Windows 8, and Windows 10 either with a 16, 32, or 64-bit system (Bell et al., 2). 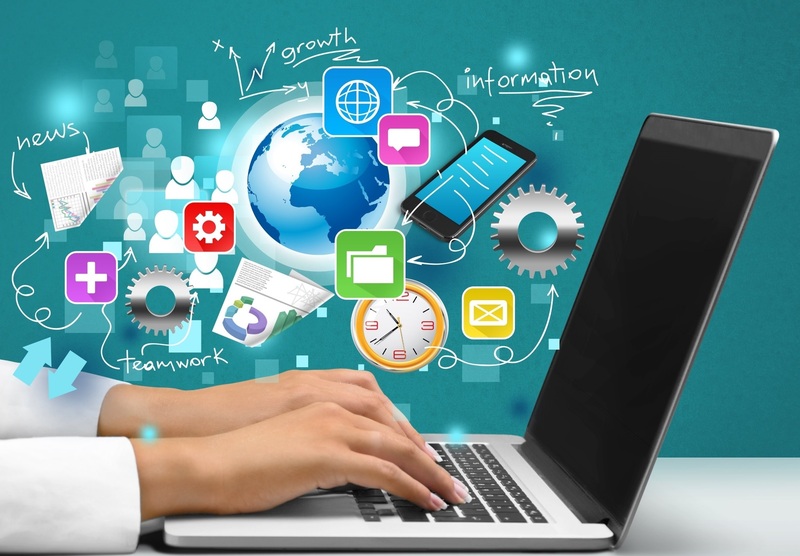 The advancements in both units of the computer system, hardware and software, have been very important in the delivery and access of the educational services. The educational services include a number of sections such as teaching, assessment, curriculum development, educational information management, learning institutions’ administration, and academic research and knowledge management. All the aspects of education have been influenced either positively or negatively by the advancement of the computer technology. One of the positive ways in which the computer technology has significantly influenced the education system is in the management of the learner’s information. In the previous years, the academic records were managed manually. They were either written by hand or typed using a typewriter, then stored in paper format. As such, the educational records and information management section used to have difficulties in managing the records of the learners. Typed or handwritten papers could either miss some crucial information about the student, get misplaced during storage, or even become lost. Guessing over what information needed to be filled in the blank spaces placed the data manager in a position of falsifying information. On an ethical note, it would require the data officer to go look for the learner, which would interfere with learning during class time. The misplacement or loss of the file that contained the learner’s information caused the consumption of time that could have been spent doing other things. In addition, the manual method of the academic data management was exposed to a breach of confidentiality and insufficient security (Laudon, & Laudon, 28). For example, an unauthorized person could acquire highly confidential information about a given learner and his or her parents. A third party having access to information about someone remains one of the breaches in data management. Secondly, the person can use the information for personal gain or the manipulation of its owner. Thirdly, the third party can easily sue the person whom he or she gave the information. However, with the advent of the computing system, significant improvements have been observed in the educational data management system. Firstly, it is hard to have missing or erroneous data in the computerized information management system. Well-developed databases have prompting mechanisms that require the person filling in the information to put in data in any blank spaces that need filling. The systems also have certain types of data, whether letters or figures, and the number of characters accommodated. As such, it becomes hard to save the information in the database if it has any errors. The computerized system guards against information before moving on to the next part or even saving the data in the database. The retrieval of the information is also easy in a computerized information management system because the computer system centralizes the educational records management to a given database used by the facility. As such, a school can have as many databases as it wishes to effectively manage its information. Such organization makes it easy for the person who wants to acquire some information. This saves his or her time because he or she knows where to check which data. There is also a search mechanism in the database, which saves the person looking for information the time to look one after the other through on the system (Laudon, & Laudon, 35). Instead, he or she will just need to key in a few words or figures to get the information retrieved. The search mechanism also saves the person from cramming the information about the people stored in the system. He or she will just need a few words to key in and get a number of search items from which he or she will sieve the information needed. The computerized data management system also has increased the safety and confidentiality of the learners’ information because it allows for the generation of unique passwords for the person permitted to access the information (Willcocks, 7). When the database is made online, the management, access, and security of the information are heightened. For example, the security system might need a scanned fingerprint, which is unique to everyone. On the same note, an authority can get the data anywhere using any device so long as he or she has the correct format of secured access. Through the online system, it is also easier to observe the use of the database because a person can see who is online in the database and what they are doing. As such, anyone feeding in false information may be seen as well as the one who lets a third party have some information from the database. In some instances, the security of the information is improved to the extent that the system automatically logs itself out after some time or blocks after a number of attempts to access it with the wrong password. Additionally, the management can use the online systems to back up the information or use things such as external hard disks or flash disks for the activity. Backing up information saves the data in multiple copies in different places so that if it gets lost within the computer, another copy can be accessed (Willcocks, 42). The computerized information management system also saves finances, time and increases the privacy of the information when the original or actual owner of the information is the one filling in the data (Laudon, & Laudon, 61). The academic data management will only need to generate first login passwords for the users. After logging in, every user will be prompted to reset the password to combinations only known to himself or herself. He or she will then be able to fill in the relevant information and update his or her records as time goes by. This development is helpful because it also facilitates anonymity in cases where the school secretary has little information about the staff. In this case, the data base will provide necessary information. The second advantage of the computer technology in education is that it has facilitated learning. In the olden days, learning only took place in the physical classrooms where the students and their instructor had to be physically present in order for learning to take place. As such, distant learning met significant challenges while online learning was unimaginable. However, through the application of computer technology, learning can take place online where students and their teachers attend virtual classes (Shalev-Shwartz, 108). Online learning has tremendously reduced the cost of education saving the students the travel finances. It has also improved the management of learning time. Not everyone must be online at the same time to attend the classes. Everyone enjoys the freedom of getting to class at their conveniences so long as they are within the program schedule. The students can take their assessment tests online and access their results through the system (Shalev-Shwartz, 159). The commonest methods of computerized or online learning include Moodle and canvas. Only a password is needed in order to access the class materials and communicate with the instructor or other students. As such, it has made learning cheaper, more convenient and interesting unlike if the learner was required to attend the classes physically in person. The third benefit of the computer technology in education is that it has introduced a new study area in the schools. In the previous days, hardly anyone was directly pursuing a program or taking a course that was computer-related. However, in the modern days, there are classes specifically designed for teaching and learning computer units. Students have graduated with certifications of various levels in computer engineering, computer software, business management with IT (information technology), and computerized information studies among others due to the innovation of the computer technology (Fink, 19). In the modern education, the computer technology is applicable to every learning program in education, medicine, public health, business, finance, administration, and international relations to mention but a few. The learning has been a great opportunity for the world because it is one of the reasons why the computer industry continues advancing. Computer-related studies have been crucial to the development of the globe in information access, management, and transmission. Still in learning, the computer technology advancement has facilitated the delivery of instructional materials. The education sector started with the use of chalk and chalkboards. The teacher would write on board, then wipe it when done or when it is filled up. The era was followed by the white boards and the use of marker pens, which made learning a little modernized. With the advent of the computer technology and its application in learning, the instructor can now develop slides using either offline technologies such as PowerPoint or online methods such as slide-share to deliver the learning content. The use of computer technology in learning is convenient because the instructor is allowed to project his or her education materials on a white board by the use of a VGA cable connected to a projector (Fink, 33). The instructor can also share the notes with the learners for their studies later in the day. The fifth advantage of the computer technology is in the administration of the education facilities and the sector at large. Academic management includes a number of things such as ensuring that the instructors and learners attend their class sessions as required, placing the learner in the most appropriate class, checking on the assessment of the learners, and employing the right people to serve in the learning institutions in the most appropriate dockets. When the management of an academic institution is done manually, there tend to be lapses in reporting (Fatile 122). Some lazy workers or students cannot get to school for their various duties; yet, they claim to have attended their sessions. Some of them may report having attended earlier and left late while in truth, the exact opposite happened. As such, it becomes hard in managing the human resources and learners. However, when the management uses a computerized system, it is hard to manipulate the reporting and leaving times without the assistance of a computer expert (Liu, & Qianli 144). As such, it makes the human resources and students truthful, which helps in reducing the attendance lapses. Through the computerized management of the learning institutions, the learners can communicate with the administration online, access their grades using the Internet, and make complaints in good time. The computerized technology also allows for the performance of the psychological testing and measuring online or offline but with the use of a computer technology. Psychometric tests help in placing the learner in the right class and effectively addressing his or her needs. Inasmuch as the assessments can be done manually by the use of printed tests, the computer-based tests are more effective. At some point, the results are instant, which expedites the process of placing the learner in the best fitting class. When the tests are available online, the school, parents, and student can discuss the scores without even having to meet physically, which cuts further the costs associated with the assessments (Fatile, 122). The computerized management of the schools can also involve the recruitment of personnel, where advertisements are made online, applications are done on the school website, and the recruitment processes follow up to a point when the school administration and the prospective employee have to meet physically. Such an organization saves the time and resources for every involved party. Lastly, academic research is one area that has benefited significantly due to the advancement of the computerized system and its application in the education sector (Faltermeier, Proescholdt, & Brawanski 35). The development of the study topic can be done using the computer programs such as mind-maps and argument maps. Freemind and argumentative are two programs that are useful in developing the study topic. The literature search and management can also be made using the computer technology. The online computerized academic libraries are speedily replacing the physical facilities. One can nowadays get a peer reviewed material online, download it into his or her computer, and refer to it in developing his or her study. Programs such as Mendeley and Zotero help in organizing and reviewing the downloaded or online literature. In data collection, computerized programs such as the open data kit, REDCap, survey monkey, tangerine, and Google Form have taken over the paper-based questionnaires. Faltermeier, Proescholdt, and Brawanski (37) show that data analysis can nowadays be done more conveniently by using the computer technologies such as the statistical package for social scientists, NViVO, and atlast i. However, the advancement of the computer technology has also come with a number of disadvantages to the education sector. In the information management area within the education sector, the computerization of the data system has opened room for advanced breach of confidentiality. Cybercrime and the trading on information or intelligence have become rampant where the computer gurus hack into the systems of various institutions as steal information for personal gains (Willcocks, 48). The computer experts even access the information stored in the cloud, which is an online storage system in computerized information technology. Still in the data management, the development of the computerized databases needs the expertise of the computer gurus. As such, it is an expensive thing that can cost the school so much money in creating and managing. Thirdly, the computerized or virtual learning is not as effective as the face-to-face real-time interactions between the instructor and the student that occur in the class sessions that involve physically meeting. There are certain learning activities that are easier instructed and learned in the face-to-face interactions: for example, the learning of technical topics such as the building an open data kit, developing a Microsoft Excel database, and learning a complex mathematical operation among others (Rutten, Wouter & Jan, 150). As such, the use of computer technology to teach the technical subjects is disadvantageous to the student, particularly if he or she is not a fast learner. Lastly, someone can use the computerized school administration system for personal gains if he or she hacks into it or is an authority with the password to access the website (Liu, & Qianli, 149). For example, he or she may produce doctored results for some learners or have certificates produced for people who never attended the classes. There have been cases of fake certificates over where people got awards for the programs they never enrolled for or pursued. Deducing from both the works-cited and works-consulted, it is worth concluding that inasmuch as there are some serious crimes and inadequacies associated with the advancement and application of the computer technology in the education sector, the benefits derived from it quite extensively outdo the disadvantages. The computer technology is a powerful development, which is highly important in the education sector. It has made the access and provision of the education services easier, more convenient, and cheaper. It has also made the records and data management section more organized and protected than before. Bell, C. Gordon, J. Craig Mudge, and John E. McNamara. Computer Engineering: A DEC View of Hardware Systems Design. Digital Press, 2014. Faltermeier, Rupert, Proescholdt, Martin A., and Brawanski, Alexander. “Computerized data analysis of neuromonitoring parameters identifies patients with reduced cerebral compliance as seen on CT.” Intracranial Pressure and Brain Monitoring XIV. Springer Vienna, 2012. 35-38. Fatile, Jacob Olufemi. “Electronic Governance: Myth or Opportunity for Nigerian Public Administration?” International Journal of Academic Research in Business and Social Sciences 2.9 (2012): 122. Fink, L. Dee. Creating significant learning experiences: An integrated approach to designing college courses. John Wiley & Sons, 2013. Laudon, Kenneth, C., and Laudon, Jane, P. “Management Information Systems 13e.” (2013). Liu, Shuhua Monica, and Qianli Yuan. “The evolution of information and communication technology in public administration.” Public Administration and Development 35.2 (2015): 140-151. Patterson, David A., and John L. Hennessy. Computer organization and design: the hardware/software interface. Newnes, 2013. Rutten, Nico, Wouter R. Van Joolingen, and Jan T. Van der Veen. “The learning effects of computer simulations in science education.” Computers & Education 58.1 (2012): 136-153. Shalev-Shwartz, Shai. “Online learning and online convex optimization.” Foundations and Trends® in Machine Learning 4.2 (2012): 107-194. Willcocks, Leslie. Information management: the evaluation of information systems investments. Springer, 2013. Beatty, Ken. Teaching & researching: Computer-assisted language learning. Routledge, 2013. Gagne, Robert M. Instructional technology: foundations. Routledge, 2013. Tipton, Harold F., and Micki Krause Nozaki. Information Security Management Handbook, Volume 6. Auerbach Publications, 2012. Zhang, Yingting. “Comparison of select reference management tools.” Medical reference services quarterly 31.1 (2012): 45-60. Zhu, Chang. “Student satisfaction, performance, and knowledge construction in online collaborative learning.” Educational Technology & Society 15.1 (2012): 127-136.